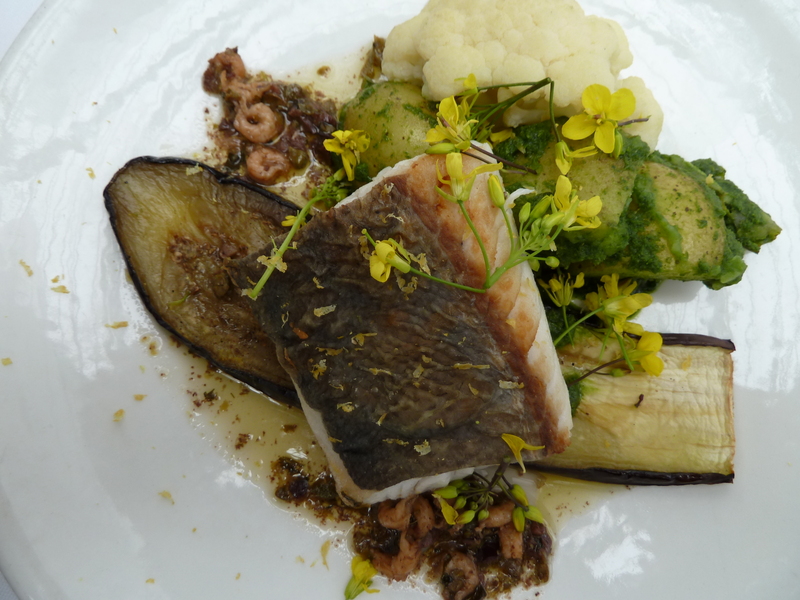 More than a week after lunching at De Kas Restaurant in Amsterdam, I’m still dreaming of the meal. It’s one of the hottest tables in Amsterdam, and no wonder, given its fresh, bright flavors, dedication to locally grown foods and airy environment. And I mean airy environment: The restaurant is under glass in a state-of-the-art greenhouse. De Kas is certainly in unique surroundings. The history of the property goes something like this: Back in the 1920s, the parcel of land was home to Amsterdam’s municipal nurseries. 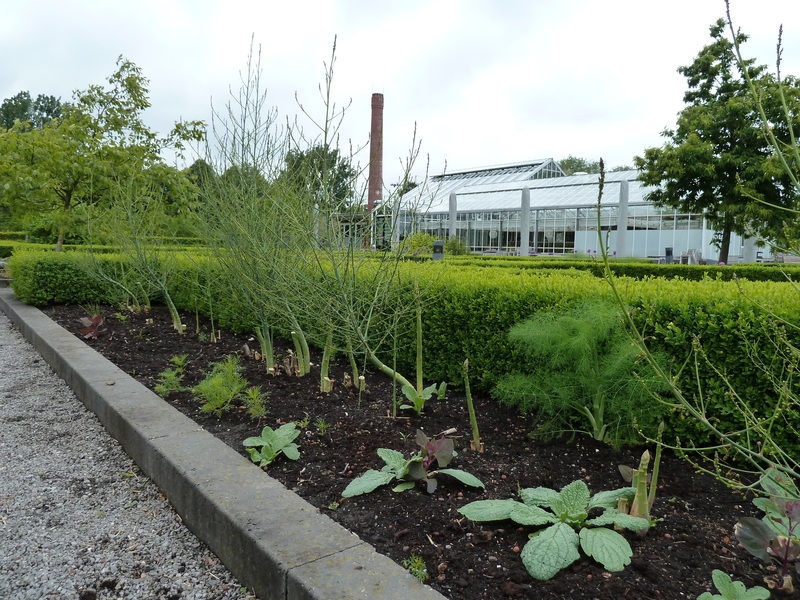 All of the plants and flowers used for Amsterdam’s municipal plantings were grown on these grounds and in greenhouses. Over the decades, the nurseries were shut down and the buildings and greenhouses became dilapidated—such a shame! 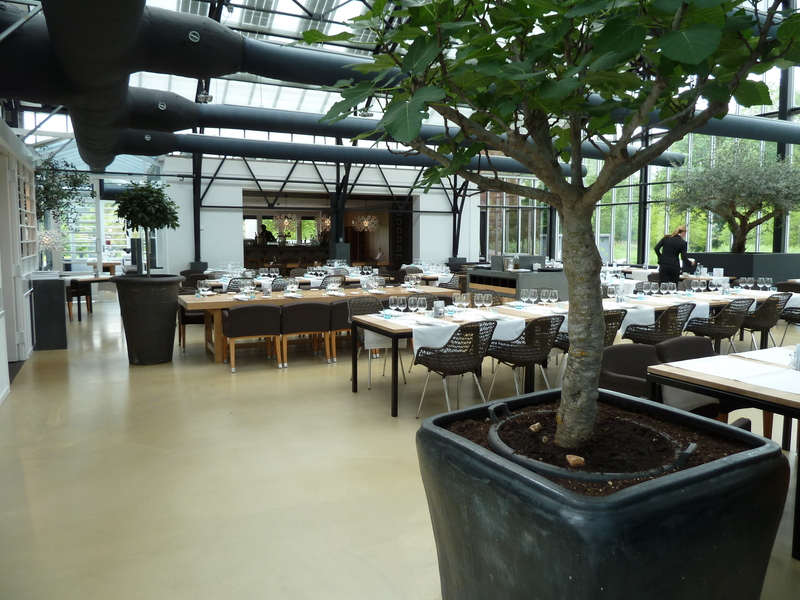 About 10 years ago the greenhouses were scheduled for demolition, but a Michelin-rated chef, Gert Jan Hageman, came up with the idea of converting one of the greenhouses into a restaurant and growing area. The dining room was designed by renowned designer Piet Boon and is lovely. The kitchen is open, and there’s even a chef’s table, where guests can enjoy their meal just steps from the hot grill (honestly, not something on the top of my list to do). And the bar area, while open and visible, is tucked away and is just shady enough for any self-respecting bar fly. The Piet Boon-designed dining room, with the just-shady-enough bar in the background. As I mentioned, they believe in fresh, local food. And it can’t get more local than the greenhouse adjacent to the kitchen and the gardens that surround the restaurant. The team also has a farm that produced a great deal of their produce. What they don’t grow and raise themselves is sourced from nearby farms and the North Sea. 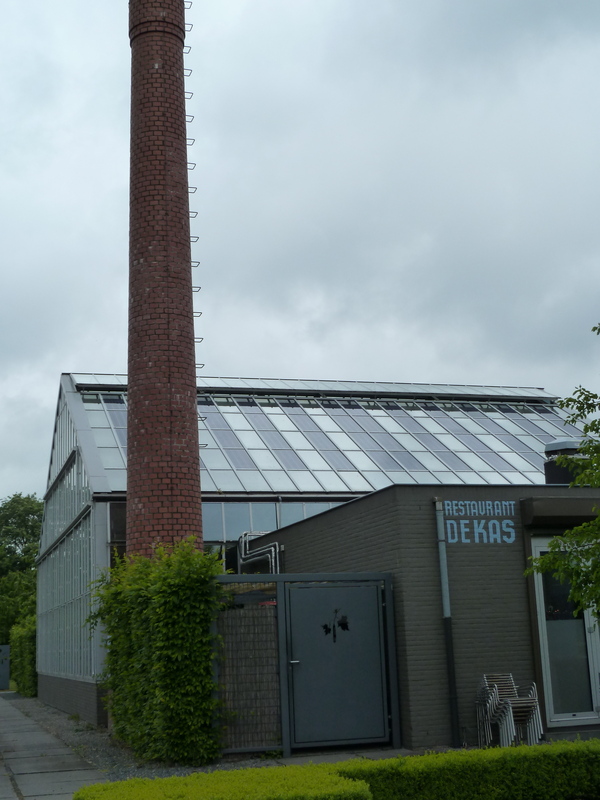 The veggie gardens outside De Kas. 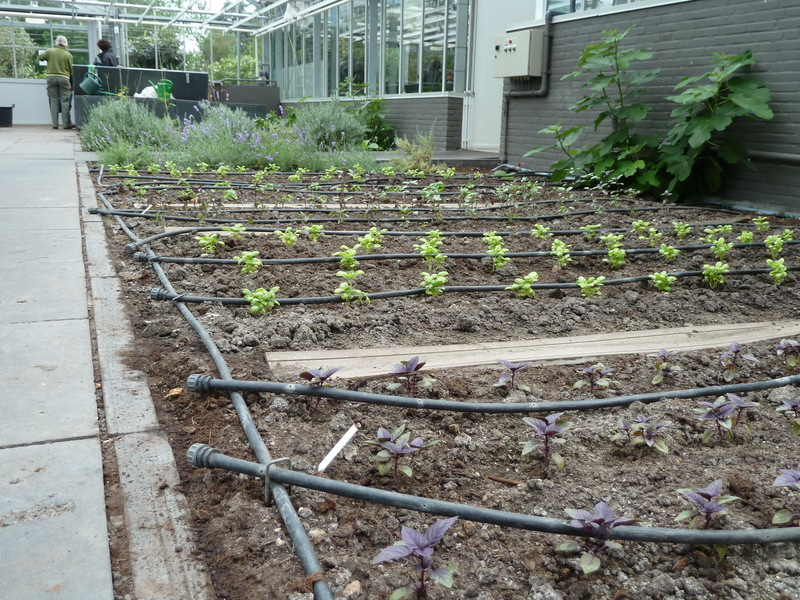 The growing area inside De Kas's greenhouse, adjacent to the kitchen. Enough about that, let’s move on to the food. The three-course menu is fixed; i.e. you are served what they are preparing that day (they do ask if the chef should take into account for any dietary restrictions). And they do offer a wine pairing, which I eagerly agreed to. Can’t recall the first wine, but the second was an unoaked chardonnay from Spain. Tasty! The meal was fabulous, that’s a given. And beautiful – not something every restaurant gets right. Instead of attempting to describe the meal, I’ll just leave you to enjoy the photos. First of two first-course salads: Roasted beets and steamed rhubarb over baby beet (?) 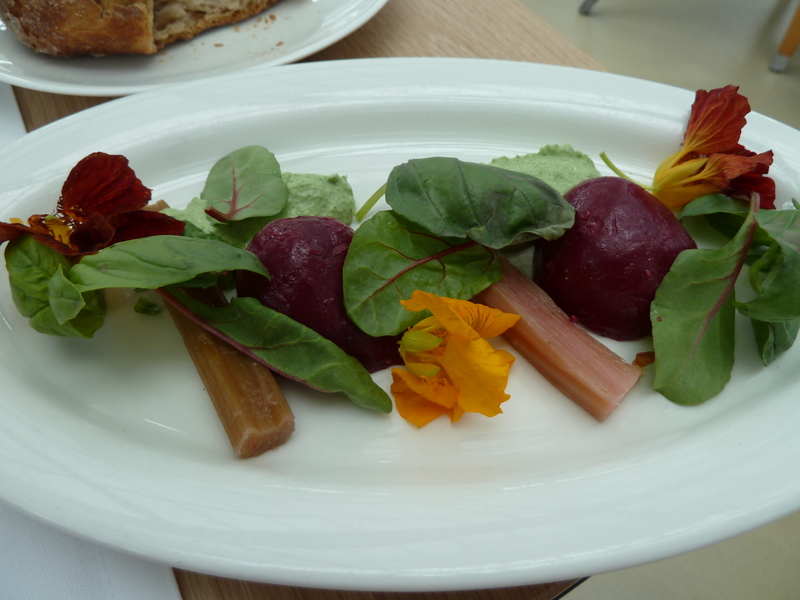 greens with a pea puree and nasturium flowers. 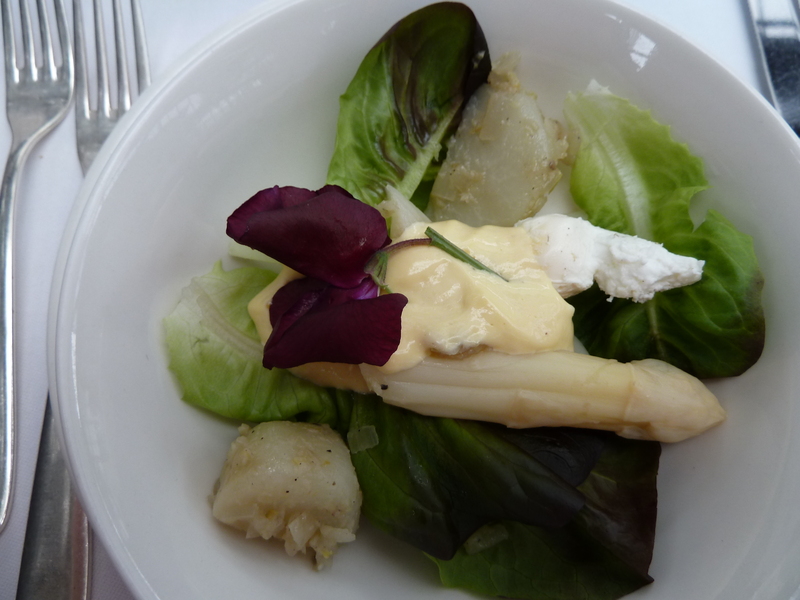 Second of two first-course salads: White asparagus, turnip and a boiled quail's egg over young lettuce greens with a sauce of some kind (sorry, whatever it was, it was delicious) and sweetpea blossoms. 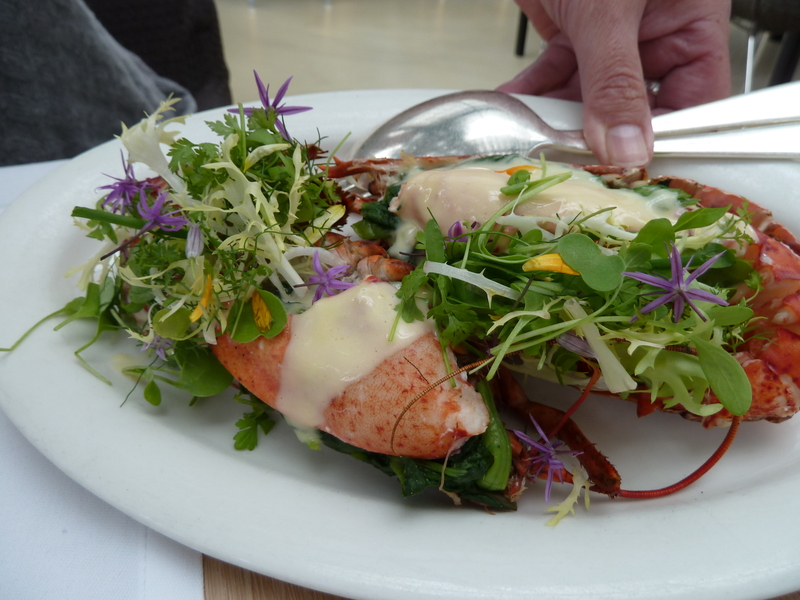 Second course: Lobster with a bechamel sauce topped with a light frisee salad. 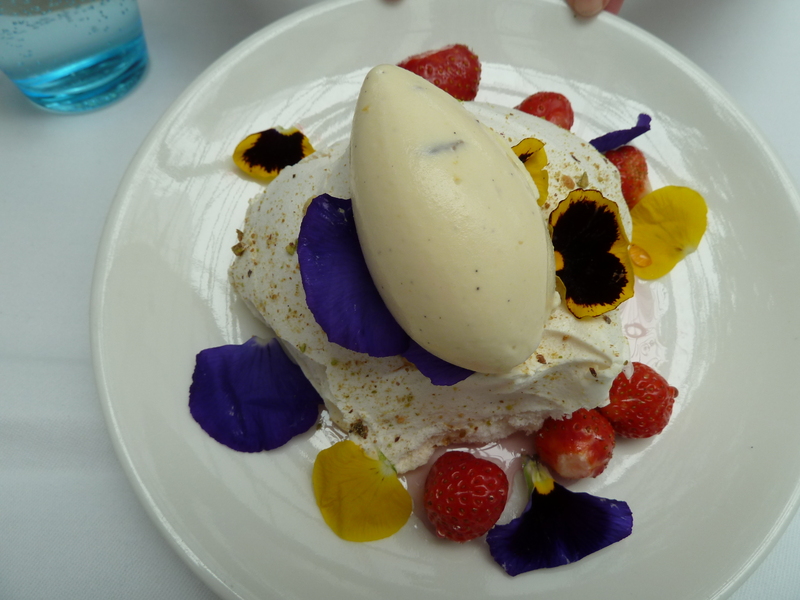 First dessert: Pistachio meringue with salt-touched white chocolate ice cream and pansy petals. 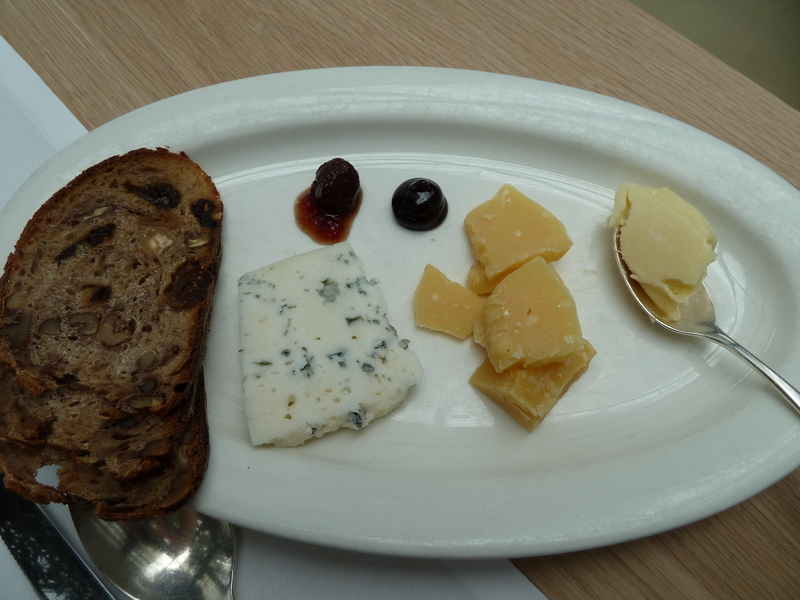 Second dessert: Platter of three cheeses with fruit and nut brown bread and a dot of apple-pear stroop (syrup) to the right and a candied cherry (?). Translation of cheese on right is "cheese that sticks to your knife." While the municipal nurseries are long gone, the remainder of the property has retained its “municipalness”—it’s now a public park enjoyed by people and wildlife alike. 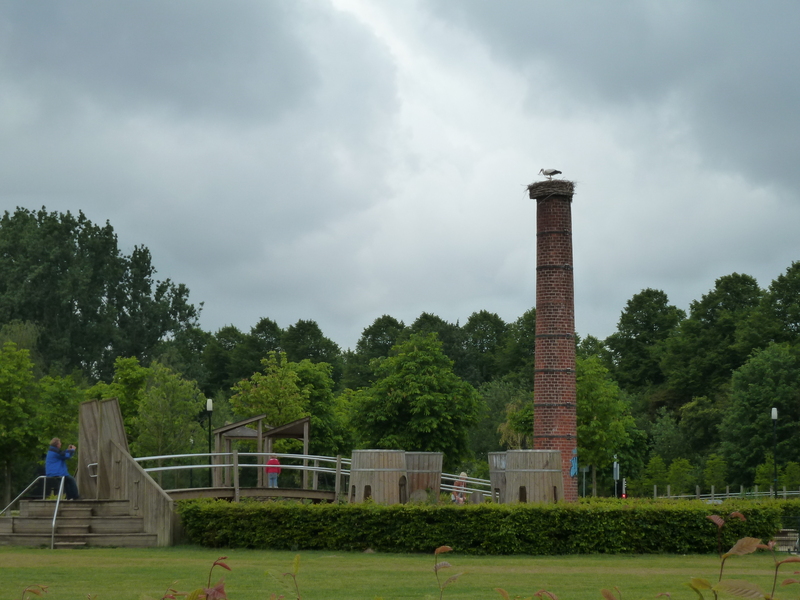 Children's play area below, and a stork nest with baby on top of the smoke stack. You are currently reading De Kas Restaurant: A Hot Table in Amsterdam at The Dainty Dot.